I just wanted to let you know that I’m taking a short break from the blog to get some important work done on my PhD thesis. I’ll be back in a few weeks with some great new content. If you want to be alerted when I’m back, subscribe by email (on the right) or like Navigate Create on Facebook for updates. Thanks for your patience, and for reading this little blog of mine. I really do appreciate your support! Creative Commons is a choice. Creators only use CC if they choose to make their work available for free. If they want to keep everything “all rights reserved” that’s their choice too. I’ve explained before how copyright protection is automatic. This means that there are a lot of things out there – incidental creations – which are copyright protected, but which the copyright owner doesn’t really care about in a commercial sense. Things like those extra photos or film reels that the creator doesn’t intend to sell or commercialise. So why not make them available to others to use? 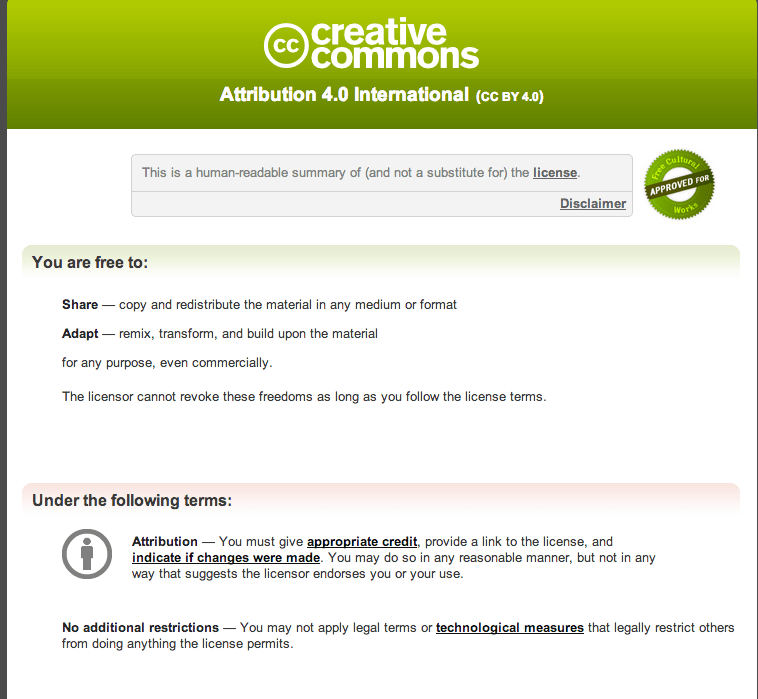 Creative Commons supports creativity. There are people out there making some really awesome stuff out of CC licensed works. One of my favourite examples is Remix my Lit, a literary project where established authors released short stories under Creative Commons, emerging writers “remixed” the stories into something different, and the original and remixed stories were published side-by-side in a book. Other great examples include: etcc – a touring remixable art exhibition, the many wonderful music remixes on ccMixter, and the National Public Toilet Map (never hold it in again!). CC provides a kind of answer to overly long copyright protection. A lot of archival material that is still under copyright protection but no longer commercially attractive is now available under Creative Commons licences. For example, the ABC has released some of its old news footage under CC and the Queensland Museum has released some of its archival photographs. Government and public institutions, in general, have really embraced Creative Commons in Australia. CSIRO has released its Scienceimage Library, a database with over 4000 high definition science and nature images and videos, under CC BY. The Australian Bureau of Statistics now releases all of its statistics and census data under CC BY. The Queensland Police Service website, including Qld crime statistics and graphs, is under CC BY. And Geoscience Australia releases its materials, including topographical data, images and maps under CC BY too. Creative Commons helps creators be strategic about the market. Savvy creators might release some content under CC in order to generate interest and build their reputation, and then sell the rest of their content under a traditional copyright model. For example, in 2008, Nine Inch Nails released their album, Ghosts I-IV under a CC BY-NC-SA licence. They made the first 9 tracks available to download for free and then made the full album available under a variety of price points. At the lowest end, people could download the full 36-track album for $5. At the highest end was the Ultra Deluxe Limited Edition Package, which included a four-LP set of Ghosts I-IV on vinyl, the album on 2 audio CDs, extra multitrack .wav session files, arts prints and a 48-page photography book with photographs from the recording sessions. Each Limited Edition package was signed by Trent Reznor. The Limited Edition packages were $300 and only 2,500 were made available. The Limited Edition packages sold out in only two days. 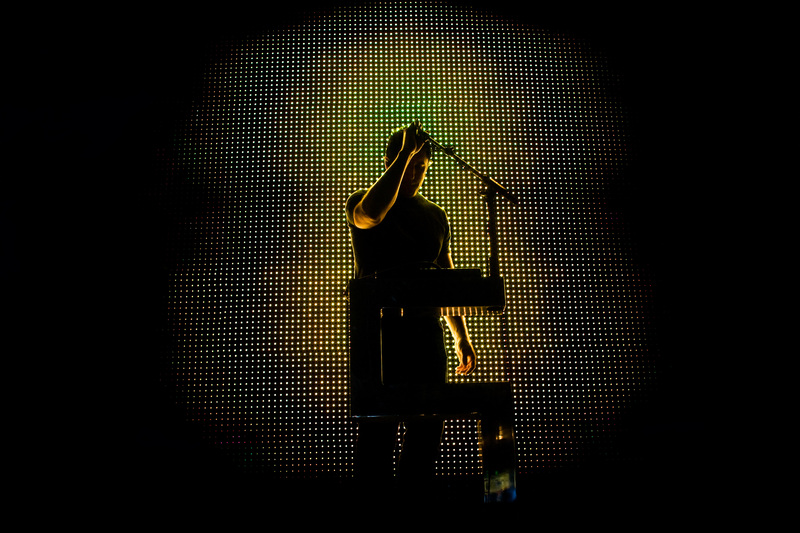 This means that despite releasing their album under Creative Commons – meaning that once downloaded, users could freely and legally share the entire album with their friends – Nine Inch Nails made $750,000 in two days from the Ultra Deluxe Limited Edition Set alone. That doesn’t even include all the sales at the lower price points. Not bad. Of course, we’re not all as famous as Nine Inch Nails, but for many bands and other creators out there, employing this kind of strategy where free downloads are bundled with valuable extras could still generate substantial sales. Many musicians make barely any money under the traditional model of copyright, so for some it can be worth experimenting with new business models like this. CC users are good at cooperating. A study (.pdf) conducted a few years ago by the Creative Commons organisation found that people using CC-licensed content tend to interpret the “non commercial” licence term more strictly than the people actually applying the licence to their work. The study asked both users and creators to rate various uses on a scale of 1 to 100, with 1 meaning “definitely noncommercial” and 100 as “definitely commercial”. For uses that generated some money but were educational, charitable or by a not-for-profit organisation, creators rated the uses more “noncommercial” than users did. This means, for example, that a creator might not consider a particular educational or charitable use to be “commercial” and would happily allow it under a NC licence, but in general users would not use a NC-licensed work for that purpose if money was remotely involved. I like this because it indicates that CC users are respectful of creators and that for creators it is generally safe to apply CC licences to your work without the risk that people will misuse them. 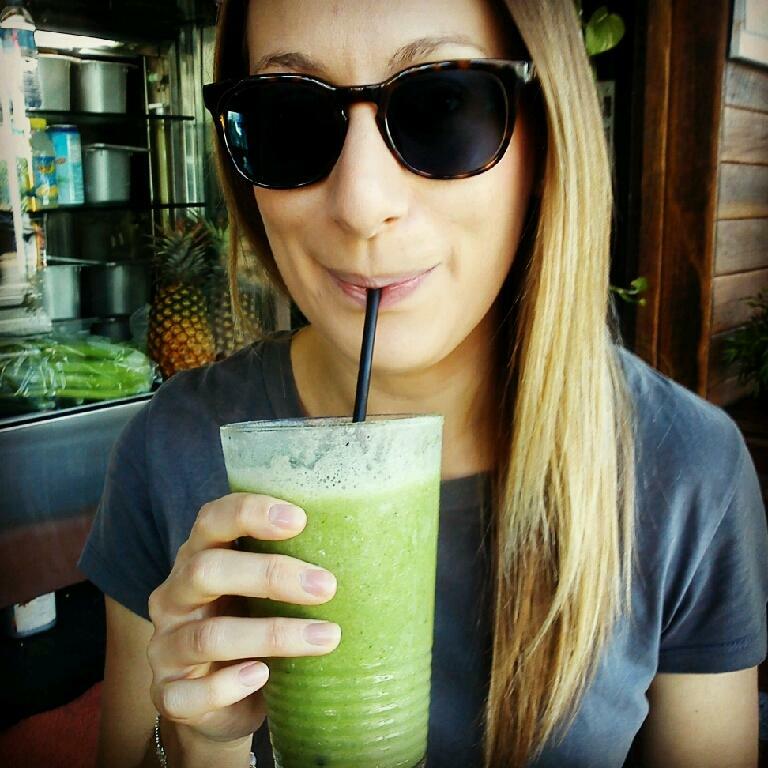 If someone has used a CC licence, it indicates a willingness to share. It means that they are likely to be more open to permitting – or at least talking about – certain uses than other copyright owners. So say that someone has used a NC licence, but you want to make a commercial use of their work. You know that they’re already willing to grant permission for some uses, and you will generally know who they are from the attribution information included with the CC licence. This makes it easier to contact them and ask for permission for your commercial use. Why not? It can’t hurt to ask. Any final questions about CC? Hit me up in the comments! Inspired by last week’s post and think you might have some content of your own to share under Creative Commons? This week, I’m here to tell you just how to do that! 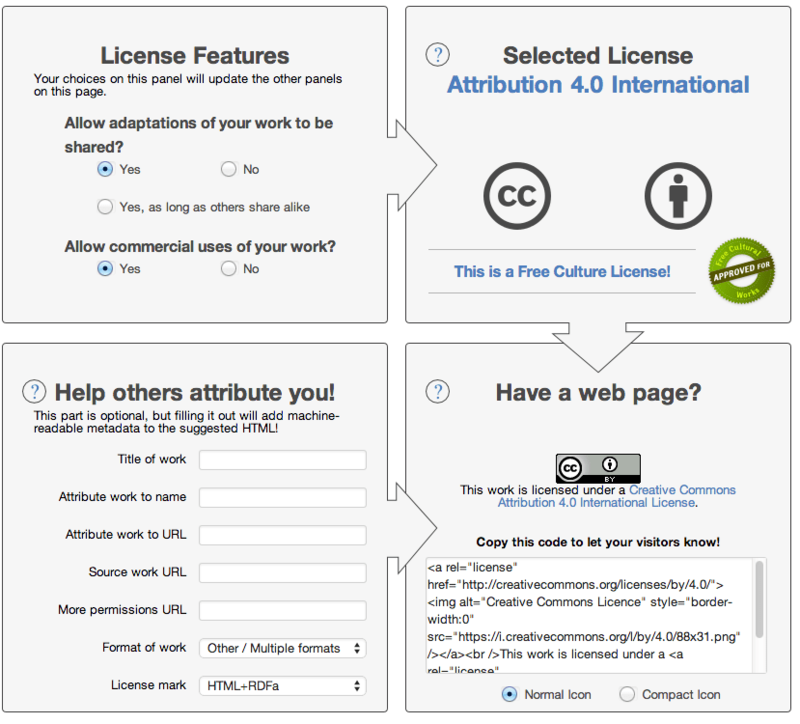 Why license your stuff under Creative Commons? 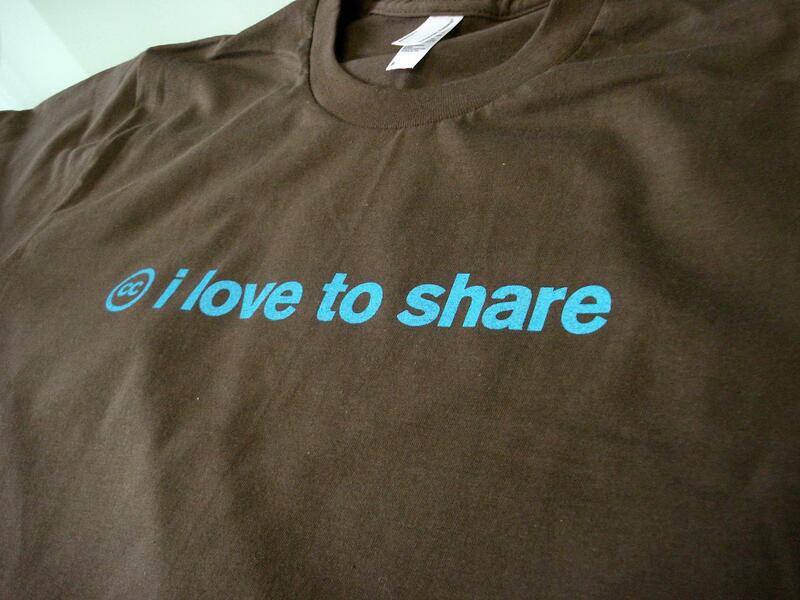 There are many reasons why you might choose to use CC licences to share your content. If you have content that you’d like to get out in the world but you don’t intend to commercialise, then Creative Commons is a good way to do that while still retaining some control over your work. The CC licences require anyone who copies or shares your stuff to give you attribution, which ensures that your name stays out there with your work. 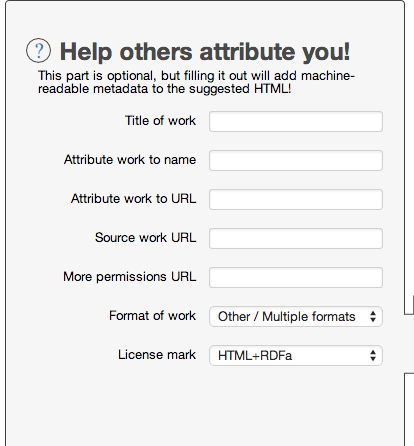 You can also place other restrictions on the use of your work if you choose. Sharing your work under Creative Commons can also give you great reputational gains. As Tim O’Reilly famously said, “Obscurity is a far greater threat than piracy”. Sharing your work widely and openly is one of the best methods around for building your reputation and building an audience and community around your works. There are three basic decisions that you need to make before you attach a CC licence to your work. (1) What kind of licence do you want to use? 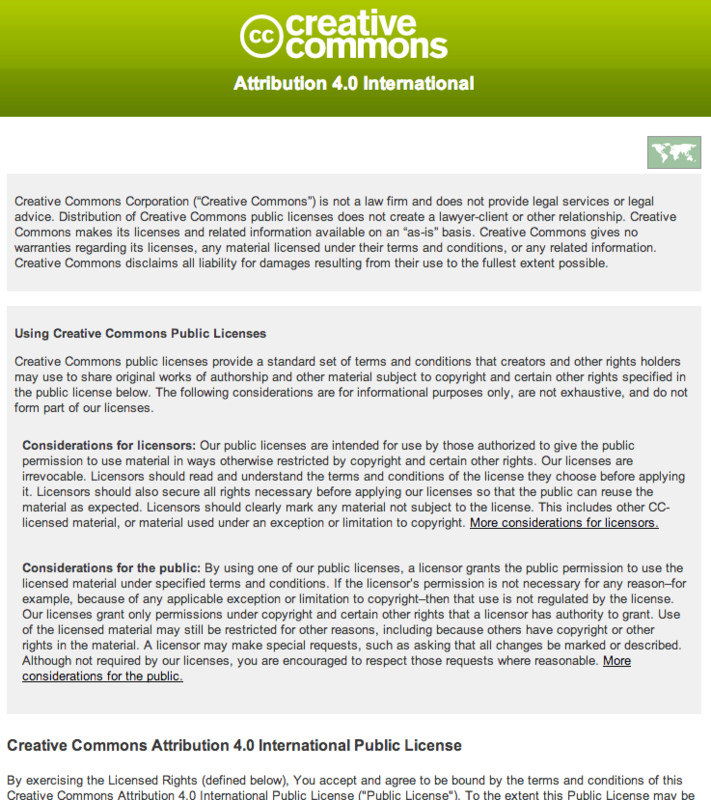 There are six different Creative Commons licences, which make use of four main terms in different ways. I explain what each of the terms mean in this post. (2) Do you have the rights to license the work? You can only share content under CC if the copyright belongs to you. Generally, this means that you must have created the work. If your work incorporates content created by someone else, then you have to contemplate your choices. The first is to get permission from the other copyright owner to put a CC licence over your work as a whole, including their elements. 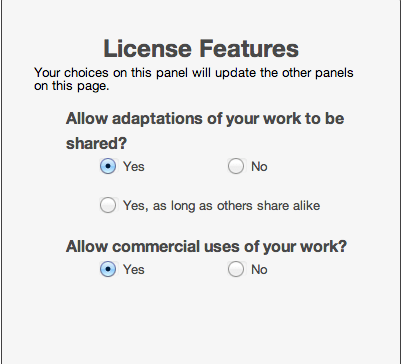 The second is to make explicit that only the parts you created are licensed under Creative Commons. For example, if I didn’t own copyright in the above graphic but I wanted to licence this blog post under Creative Commons, I might say: “The contents of this blog post are licensed under CC BY, except for the image file which is All Rights Reserved to [copyright owner]”. Lastly, if neither of these options are available to you, you may need to refrain from using Creative Commons for the particular work in question. (3) Are you comfortable with the fact that CC licences are irrevocable? Once you apply a CC licence to your work, it cannot be undone. Or more accurately – if you change your mind, you can take down your content from your website, or place a more restrictive licence on your work from a certain date. But for anyone who accessed and used your work under the earlier, more permissive CC licence, they are free to continue to use the work under that licence. You cannot call it back. The reason for this is simple. Imagine if someone spent a lot of their own time, energy and money creating something – a piece of music, or a short film or a painting – that included some CC licensed content, including some of your content. It really wouldn’t be fair to tell them that they couldn’t use, display or sell their own work, or that they now have to pay you for the privilege, just because you changed your mind about your licence. (And to make it even more complicated – imagine if dozens or hundreds of people used your CC-licensed work? Trying to claw back the rights would be a mess). So be comfortable with Creative Commons before you use it (or experiment with it in the beginning using content that’s not very important to you). You can see in the lower right quadrant that the website provides you with the code to insert the licence link and graphical button into your web page. If you’re applying the licence to a static work, you can simply copy and paste the button, or write down the name of the licence you have selected and the URL address to its full terms. The people who built the CC licences were pretty clever, because they built three different layers to the licences. The first is what we call the “human readable code”. This is the landing page for each of the licences, which set out the basic licence terms in ordinary language and graphically. This is what people will see when they click the link you provide with your licensed work. Finally, if you use the computer code to embed the licence into your website or digital object, then this “computer readable code” is indexed by computers and your object is searchable by licence term. This is what makes your content discoverable on sites such as Flickr, Google and Vimeo. For more information, see my last post, Where to find free and legal content online.